Donald Trump promises to build a great wall along the 2,000-mile U.S.-Mexican border and make Mexico pay for it, but it will be a difficult pledge to fulfill. WASHINGTON (AP) — Donald Trump promises to build a great wall along the 2,000-mile U.S.-Mexican border and make Mexico pay for it, but it will be a difficult pledge to fulfill. Sure, a wall can be built, but it's not nearly as simple as Trump says it will be. Constructing the wall, now a signature applause line at Trump campaign rallies, is a complicated endeavor, fraught with difficulties. Numerous bureaucratic, diplomatic, environmental, monetary and logistical hurdles must be overcome. And forcing the Mexican government to foot the bill won't be easy, especially since its president has flat-out refused. During President George W. Bush's second term, Congress authorized $1.2 billion to build several hundred miles of double-layer fencing but the government faced myriad obstacles. Private landowners objecting to buyout offers. There were environmental concerns and lawsuits. Some 650 miles of border fencing now sits on the border, including roughly 15-foot tall steel fencing in many urban areas that is designed to stop or slow border crossers on foot and vehicle barriers, which are shorter steel posts filled with cement and planted in the ground. Just getting that built was a challenge and a new, taller wall like the one Trump wants would almost certainly face as much, if not more, opposition. First, a 1970 boundary treaty governs structures along the Rio Grande and Colorado River at the Mexican border. It requires that structures cannot disrupt the flow of the rivers, which flow across Texas and 24 miles in Arizona and define the U.S.-Mexican border, according to The International Boundary and Water Commission, a joint U.S.-Mexican agency that administers the treaty. Trump has said his wall will not need to run the full 2,100-mile length of the border, but even excluding those portions blocked by geographic features, there are serious issues. In some places, treaty obligations and river flood zones would require the wall be built well into the United States, which would be awkward if the Mexican government is paying for it and overseeing the project. In addition to creating a no man's land between the wall and the actual border, one government or the other would have to buy large amounts of private property as well as land owned by at least one Indian tribe whose territory straddles the border in southern Arizona. In areas where the border is defined on dry land across New Mexico, most of Arizona and California, structures have to be built so that the wall doesn't obstruct natural run off routes or otherwise induce flooding. Building in those areas can be complicated and costly. In sensitive sand dunes in Southern California, for instance, a "floating fence" had to be built to allow the natural movements of the dunes. Then, there are the conservation issues. Environmental groups have sued over parts of the existing fence. And, federal regulations could prevent or at least delay or increase costs of construction. A total of 18 federally protected species may be found along the California border and at least 39 federally endangered, threatened, or candidate species live along the Arizona border, according to the U.S. Fish and Wildlife Service. Numerous fact-checking organizations have taken issue with Trump's estimate that the wall would be built for $10 billion to $12 billion. And, they have rejected his contention that the wall could be funded by reducing the U.S. trade deficit with Mexico. 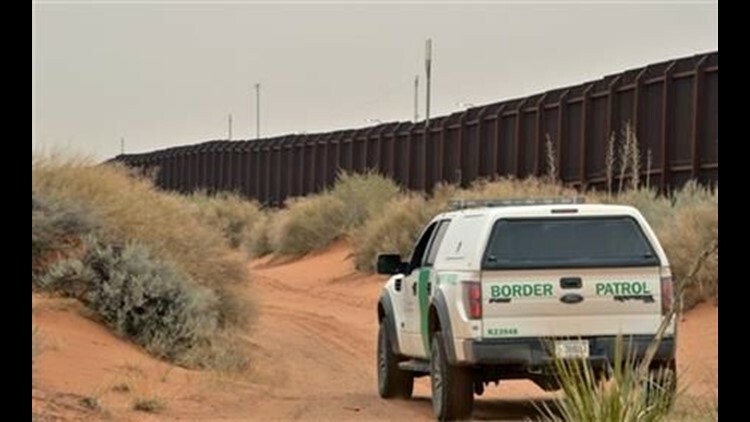 Figures released by the Army Corps of Engineers and the Congressional Research Service indicate that the total cost of the current 650-mile fence has been $7 billion. And that doesn't include maintenance and upkeep. Trump has insisted that Mexico will pay for the wall, perhaps through fees on money that immigrants send home to their families, tariffs or other means. Fees would be wildly unpopular and tariffs would likely run afoul of the North American Free Trade Agreement. The cost of such tariffs would also ultimately be borne by U.S. consumers. Getting the Mexican government to pay for it outright is almost certainly wishful thinking. President Enrique Pena Nieto said Monday that "there is no scenario" under which Mexico would pay for the wall. Former President Vicente Fox put it more bluntly: "I am not going to pay for that f---ing wall." So there's diplomatic ill will, a question the Congressional Research Service raised in 2009. "Do the gains in border security outweigh the risk of alienating Mexico and Canada?" it asked. "Should the Mexican or Canadian government's opinions or wishes be taken into account when border fencing is concerned? Given the need to coordinate intelligence and law enforcement activities at the border, should maintaining cordial working relationships with Mexico and Canada take precedence over sealing the border with physical barriers?" On Wednesday, a group of Republican national security community members, including former government officials, blasted the idea. "Controlling our border and preventing illegal immigration is a serious issue, but his insistence that Mexico will fund a wall on the southern border inflames unhelpful passions, and rests on an utter misreading of, and contempt for, our southern neighbor," they wrote in an open letter.